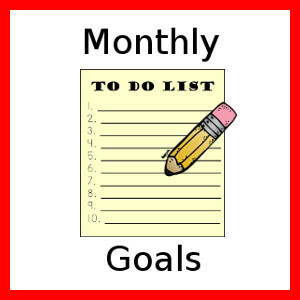 Do you make goals each month? A group of bloggers are doing just that. Be sure to check out all the goals that everyone is doing. This is a good way to think about things. I’m working on three different areas: blog, family and personal. You will see some the same each month and some change as we go. Plus scroll down for a Free Summer Weekly Menu Printable! Each month I have been working on reading a chapter of Say Goodbye to Survival Mode: 9 Simple Strategies to Stress Less, Sleep More, and Restore Your Passion for Life . I find that I work on the goals in it more as I take it slow and not rush through the book. I have changed a lot of the way I am doing things. Having a focus for a lot of my goals has helped as well. Last month I dropped several projects and started new ones. The Summer Program has started to come out! It is exciting to see how it all comes together in the end. 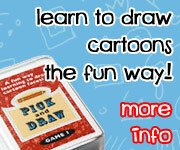 I am working on new layouts for pages and ideas. I hope to get them done in the next few months. I also will be taking time to prepare for a break from the blog in July. It will be my first break so I’m preparing a few things ahead of time. Last month I finished a blogging class that I loved, but also showed me where I need to work on things. Finish the remaining CVC pages that need to be updated. Get projects in 5 days Early. I’ve doing doing on time but I want to be early with them. I guess it seems silly to post these over and over but they are a reminder of what I need to work on. I have taken a few things out. The question is why do I still have these goals and not others. These are the ones that I still need to work on. Last month worked on having gratitude in the moment. It really helped me with thinking and putting things in the right frame of mind which helped with many things. I have made my goals for the months smaller because I want to focus on them a lot. I will take time to do my OWN reading every day and read 5 books – at least one self help or parenting book. Get up and get dressed with my hair done. Since we are entering the season of summer soon. I thought it would be nice to have a new Menu to use! I really did enjoy using the summer menu. Click here to download the Free Summer Weekly Menu Printable. Be sure to link up your goals for the month. This entry was posted in goals and tagged goals. Bookmark the permalink. My goals change some each month. I learn more and learn more about who I am as a person as well. It makes me think about what I’m doing as well. I also like these posts because it does remind people that there is a real person behind it all. Great goals! I am trying to work on laundry here also. I used to be good at folding right away, but got behind when Anna was born and have yet to catch up! I think I was the same way after Mary. Now I’m working more on it each day. I push more to get more done when I have my list that says laundry. Plus my to do list helps when it points out that I did not put the laundry away at the end. Thank you for sharing your goals and the meal plans. 🙂 It’s nice to be able to relate to another mom through these sorts of blog posts. I love how you have your goals broken down in Blog, Family, and Personal Goals. Very straightforward and manageable. Thanks for sharing! I have to have something measurable for me or it does not happen. Great goals! And I love the printables! Thanks! I like the printable too! I need to mark a day in my calendar and join you all for July! I’m working through Say Goodbye to Survival Mode, too!